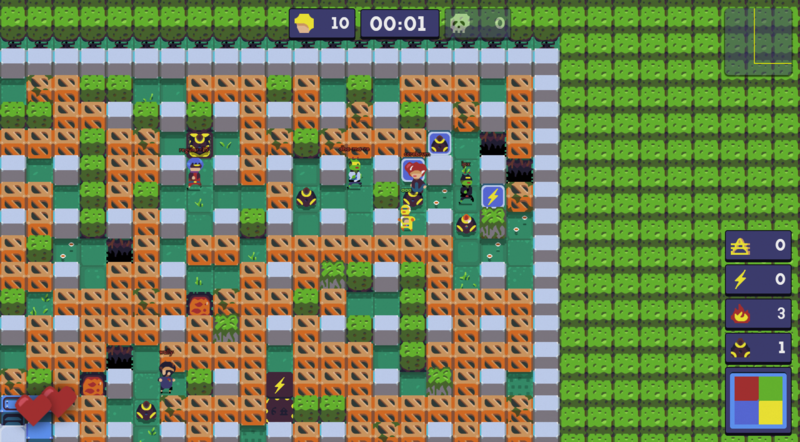 Starbomba is a battle royale bomberman, with up to 100 players fighting to survive. Choose your hero and explode enemies until there is only one! Earth has been destroyed, and all races around the galaxy fight to find their new home, bringing destruction all around the universe. Be ready! 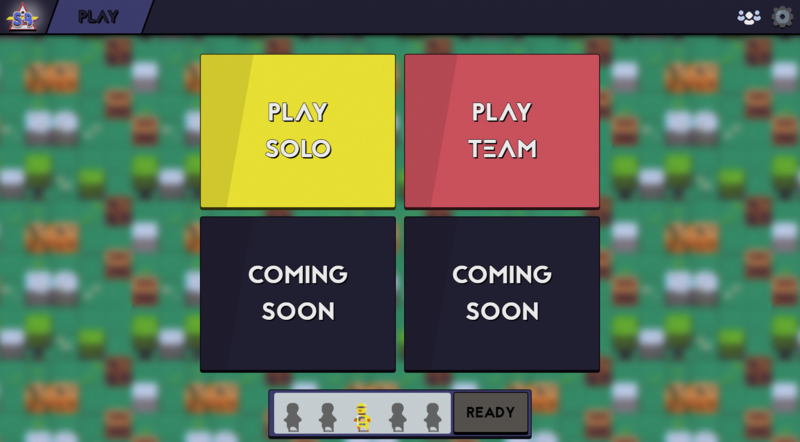 Last weeks have been spent on refactoring all the UI, visually and on the engine side. This means that we'll be able to redesign/modify all the UI way more easily and work in iterations very quickly. This is a huge improvement on our side that will make us gain time in the future. The other visual part enhanced are "pixel art" elements, in-game, icons, heroes, etc. After researchs of style, techniques, we finally decided to use pixel upscaling. "What is pixel upscaling? Why does it matter to us players?" And all done in the game engine, no artist involved in the process! It does matter for players who want to create mods, because pixel art is still present. All assets are in pixel art, tiles are 16x16, and the game engine then processes all assets to smooth them. It means that if you add new graphics to your mod, you'll draw them in pixel art and then they will be smoothed. So yeah, you'll have nicely smooth graphics without doing anything! Neat! Is it perfect? No, there are some visual glitches. But they are overall very very small, and after converting all our assets, we are pretty confident with this technique. What it means is less work for everyone, and better graphics at the end. So yes, it's a good trade! Now we are in the process of integrating mod.io api. It's a quite easy part, the api is very well documented and easy to use, I encourage you to have a look ;) Now the biggest part of integrating the mod system is writing aaaaall the documentation. Except that, the mod api is enough powerful to create custom maps with your own tiles, victory conditions, add bots, and much more. Back to work, stay tuned for more! 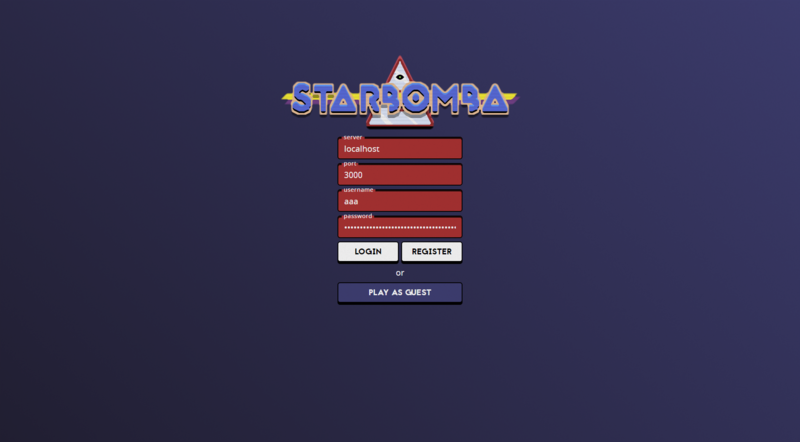 Hi everybody, I'd like to introduce the game we are working on: Starbomba. 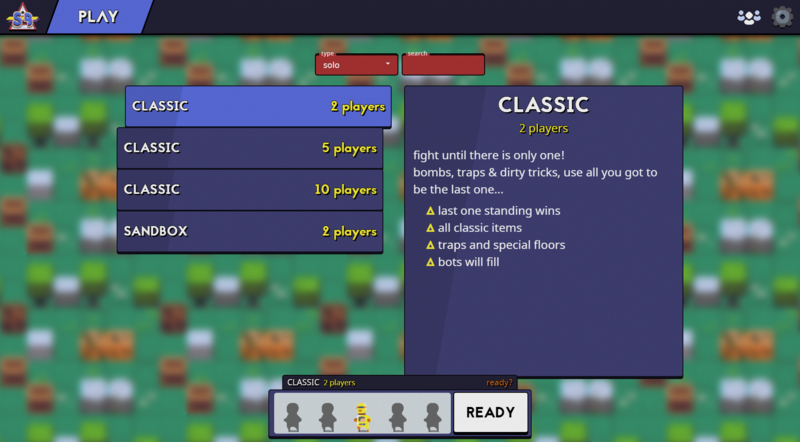 Bomberman with 100 players & huge maps, let the slaughter begin! The biggest indie gaming stories for the week of January 27 2019.
version: pre-alpha 0.1.13 * come as guest or register * invite friends for huge battles * play with humans & bots! Is there a wy to play Starbomba on LAN? You'll be able to host your own server (like minecraft) and so play in lan on private servers.